Yingli Green Energy is one of the oldest Chinese companies and is completely integrated from polysilicon. Currently Yingli is amongst the top 10 producers of solar panels globally. One of the world’s first fully vertically integrated photovoltaic manufacturers, the company develops, manufactures, and sells high-quality modules under the brand Yingli Solar to a wide range of markets, including Germany, Spain, Italy, Greece, France, South Korea, China, and the United States. The company is headquartered in Baoding, China with over 11,000 employees worldwide & more than 10 branch offices globally. Yingli Green Energy has been sponsoring Football in Europe and invented a new line of high efficiency “Panda” solar panels. It is publicly listed on the New York Stock Exchange since 2007 (NYSE: YGE). The business model covers the entire PV value chain, from polysilicon production to the assembly of modules. The company is one of the lowest cost producers of solar panels in the world. Since 1998, the capacity has grown from 3 MW to over 2.45 GW globally. The company has an extensive 15 years of experience in the solar industry, with advanced R&D facilities in the United States, Spain and China. Hainan Province in China – 400 MW annual production capacity for ingot casting and wafering, solar cell production and module assembly. Tianjin High-tech zone in China – 300 MW annual production capacity for ingot casting, wafering, solar cell, module assembly and application system. Hengshui Economic Development Zone in Hebei Province of China – 150 MW annual production capacity for ingot casting and wafering, solar cell production and module assembly. Fine Silicon Co. Ltd – annual production capacity of 3,000 MT for polysilicon. Comprehensive product and facility certifications. 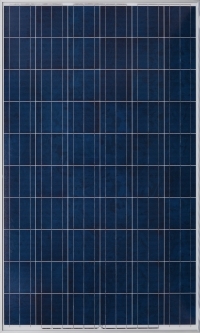 Yingli Green Energy modules can be divided into monocrystalline and multicrystalline modules. 1) TwinMax 60 Cell Bifacial series – These modules are capable of generating power from the front as well as from the back side and are capable of generating 10-30% more power. They are made up of PANDA n-type crystalline silicon solar cells. 2) PANDA 60 Cell Series – Efficiency of the PANDA series modules is upto 20.1%. 3) YLM 60 Cell Series – 60 celled modules, with efficiency of up to 17.9%. These can also be used for large-scale power plants. 4) YLM 72 Cell Series – 72 celled modules, can also be used for large-scale power plants. These modules have efficiency level of 16% and are used for homes, businesses, and large-scale power plants. 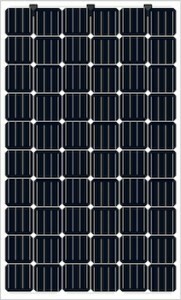 Yingli multicyrstalline modules are capable of reducing installation costs and maximizing the output. These high quality modules are certified by TUV Rheinland. 1) YGE 60 cell Series – These 60 celled modules are the versatile amongst all, capable of a compact fit on residential and commercial rooftops and economical enough to be used for larger, utility-scale projects. 2) YGE 72 Cell Series – Versatile product having been used worldwide. Popularly used for utility scale projects. Yingli Green Energy provides limited product & limited power warranty to its customers, subject to certain terms and conditions. It provides a lengthy 25 year limited peak power warranty and 10 year limited product warranty, which is standard warranty given by most solar panel manufacturers in the industry. You can see the Solar Panel Review on other major brands of solar panels below. You can also see a review of the Chinese solar panel manufacturers. 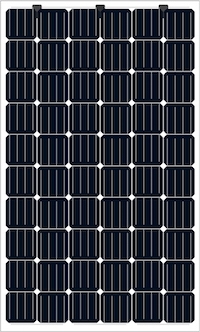 Trony Solar – Trony Solar is the largest Solar Thin Film Producer in China and uses a-Si Technology to producer Solar Panels used mostly in Off-Grid Applications.The company uses its own custom made equipment and manages to get decent margins for its products.The company recently listed on the HK Stock Exchange. where to buy in India . etc No proper contact given . Hi Sneha, excellent work..!! it would have been great if you can give some price information on all above brands… like Trina solar – Mono Rs 43/W, Poly 35/W.